Exceptional amenities and superior service are two of the hallmarks of the Villa Group Resort properties. Our international staff works their magic everyday to make sure all your needs are met. If you have little ones with you, yet would still like to sample the exciting nightlife in Riviera Nayarit, leave them (and your worries) in the capable hands of our certified babysitters. Our Concierge Desk can provide you with a list of scheduling and rates; 24 hours notice is required for a reservation. Car rental reservations can be made by our Concierge Department. Car rental is also available for pick up and drop off at the airport. Are you planning a full-scale wedding reception? Hosting a beach party? Our catering staff is well-equipped to handle any kind of event from large to small, casual to gourmet. Just ask. Our friendly and professional staff is at your service 24 hours a day to provide you with assistance. The selection of tours and excursions in Riviera Nayarit and Puerto Vallarta provides for all interests and abilities. Whether you opt for a glass bottom boat ride, a pirate ship, a sunset or a romantic moonlight cruise, horseback riding, ATV excursions, scuba diving or whale watching, our knowledgeable Concierge will gladly assist you, not only with helpful suggestions, but also with dinner reservations, personal recommendations on top attractions, Spa reservations or any special requirements you might have. Our trained "Gold Key" rated housekeepers are here to make your stay as comfortable as possible. In other words, don't hesitate to call for extra towels, sheets, pillows, and so on. You may be hundreds of miles from the real world, but you're not out of reach. At Villa La Estancia, you can check e-mail, send and receive faxes, make copies and write documents. All Villas have Internet connections and the entire property features wireless connectivity. In other words, you will have everything you need to conduct business as usual, be it on the beach or around the pool and no one back home would know - just don't spill your margarita! Sailing on the ocean, trail riding, playing tennis or being on the golf course is much more appealing than doing laundry, so why not take advantage of our full-service laundry facility? Just because there's a washer/dryer in your Suite doesn't mean you have to use it. To ensure you feel the same level of comfort you do at home, Villa La Estancia has an on-site personal physician with private care facilities in case medical attention is necessary. When the refreshing sea breezes of your terrace tempt you to stay in your pajamas all day or a long day of activities makes you too tired to venture out, there's always the option of room service. We offer delicious snacks and meals all hours of the day. Available from 7:00am until 11:00pm, seven days a week. 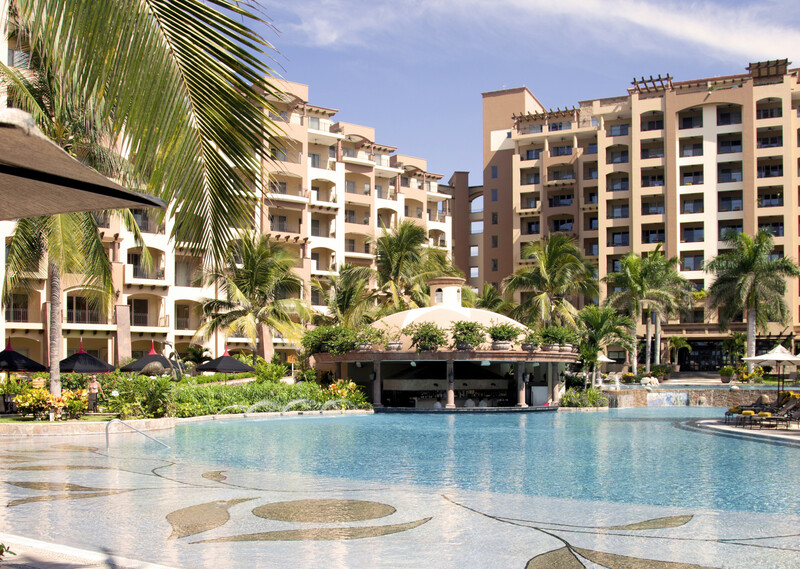 Twenty-four hour security with trained staff and CCTV is provided for the entire property of Villa La Estancia and the surrounding beach grounds. Enjoy all the first-class amenities of a five-star hotel and spa from the peace and tranquility of your private residence.